Denomination is a classification of unit in a system of numbers or money, and it is normally referred to cash denomination. Cash denomination for notes and coins is widely used at the store from within the POS. These denominations aid and accelerate the process of counting cash upon opening and closing of the store. To add type of cash denomination, click the "+" sign at the top left corner. 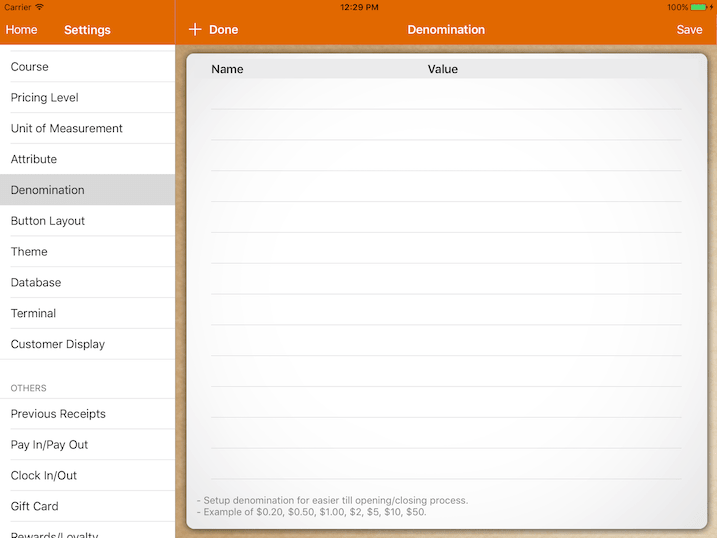 There will be 2 columns: Name & Value . Insert the preferred names and actual values in each of the column. After inserting the desired cash denomination, click the "Save" button at the top right corner. 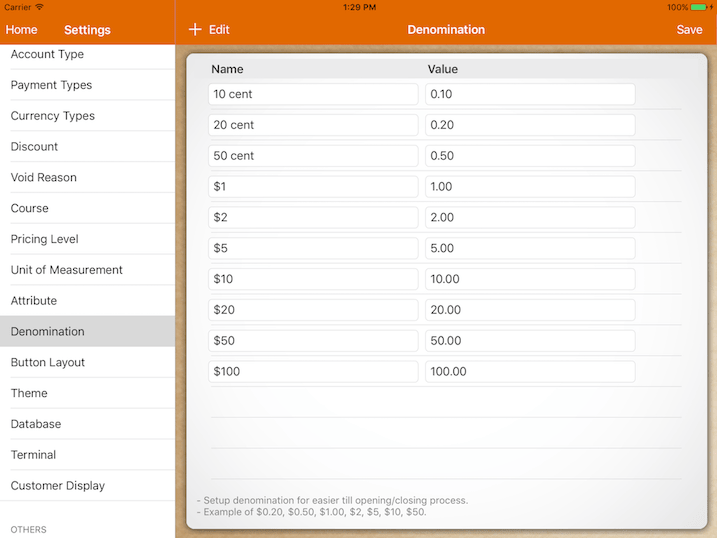 To enter the number unit of denomination, simply tab on either denomination (eg. 10 cents, 20 cents) , then tap on the keypad to insert the counted units of money denomination. 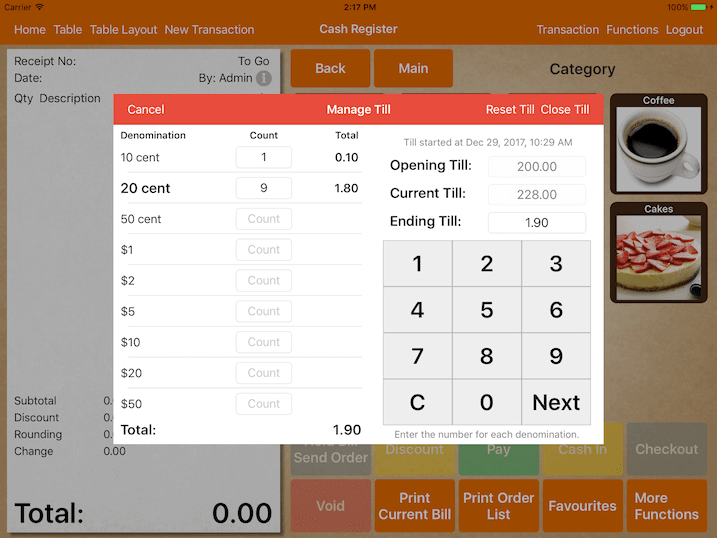 After inserting the count unit, MobiPOS will automatically calculate and show the total amount of that particular denomination at the right column beside. Tap Next to insert the next denomination. Tap C to cancel or delete the count.